We provide an at-home long-term video-EEG-ECG service for epilepsy, syncope and other related conditions. Our service is used by over 100 neurologists in Australia. Your patients are in safe hands. Call us on 1300 869 888 if you have questions. Committing to long-term EEG diagnostics in the hospital is very daunting and sometimes impossible for many patients. Our at home service lowers key barriers and leads to deeper insight into the underlying condition by monitoring your patient in a more natural environment. Once we receive a referal from you, we will get in contact with your patient to arrange connection at one of our clinics. Your patient will be monitored at home. At the end of monitoring, your patient returns to be disconnected. Data is analysed and a diagnostic report is shared via the Seer Cloud or fax. 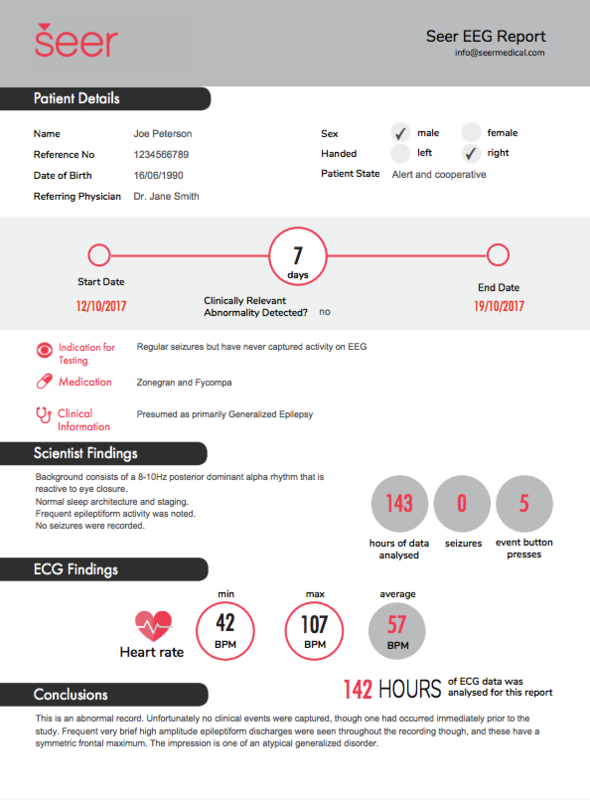 We provide EEG and ECG reporting, and on request label and report all events to provide a complete quantitative picture. The full annotated dataset is available via a web-based portal on the Seer Cloud. Studies are interpreted and concluded by Prof. Mark Cook and associates. 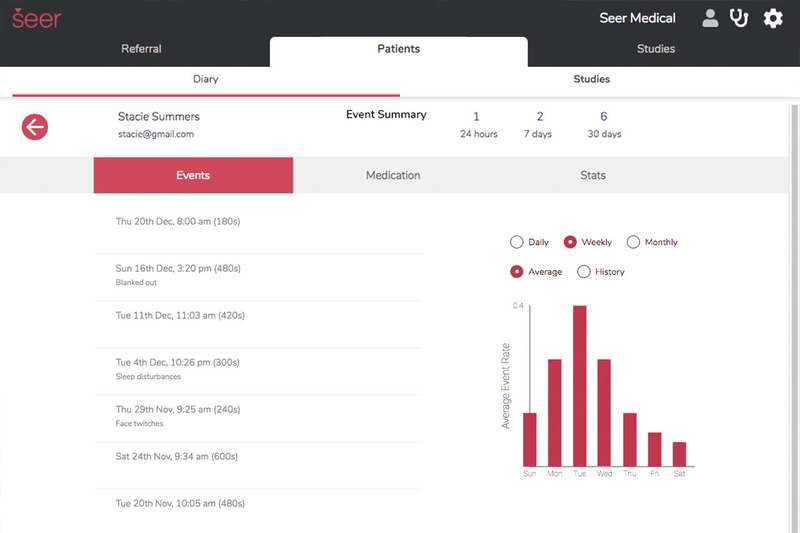 View your patients EEG, ECG, MRI and self-reported seizure and medicastion diary all in the one place. Get immidiate insight into event frequency and medication adherence.